Beruank Galak is a virtual metal band founded by Beruank Edan from denpasar-Bali, in october 2010. Started as one man band, Willy Damien (Umbra Mortis -Jakarta) then joined as lead guitar in december 2010. Rizky Maulana (Vallendusk/Valevor-Jakarta) joined in December 2011 as vocalist. 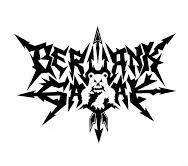 Beruank Galak songs theme is all about the world wars and mass destruction.